The more flamboyant aspects of Poiret’s style may obscure today his revolutionary effect on fashion. He made it modern. In his hands, shapes and constructions changed radically, and some of his trademark garments like capes and kimono jackets wouldn’t be out of place in the workshops of Belgian designers. He changed the standards of dressing. He showed that fashion wasn’t a set of rules to follow, but an invitation to a dream. Poiret’s fragrances were as exuberant as his couture. To mark the launch of his perfume house, Poiret threw a party called La Mille et Deuxième Nuit, the thousand and second night. Dressed in the bejeweled outfit of a sultan, he gave each guest a bottle of perfume. No wonder the couturier became known in Paris as Le Magnifique, after Suleiman the Magnificent. Ever since I’ve smelled Poiret’s perfumes at the perfume conservatory in Versailles, the Osmothèque, I’ve admired Le Fruit Défendu, a gourmand rose lavishly garnished with banana and vanilla cream, but it was a luscious peach chypre, Nuit de Chine, that stole my heart. It captured all of the verve and drama of Poiret’s style. To pay homage to Poiret, I headed to the Montmartre Cemetery in Paris. 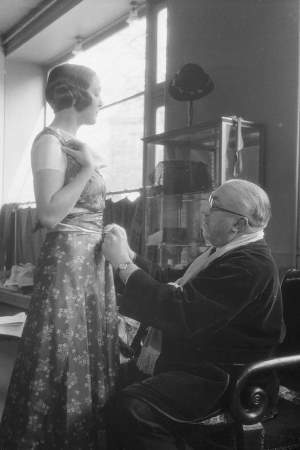 Just as the rise of Poiret was meteoric, so was his fall. 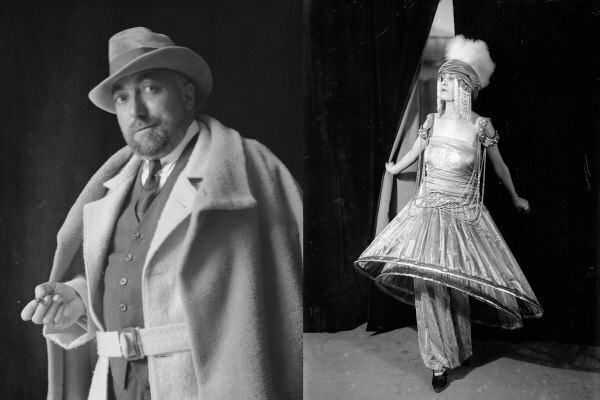 Poiret couldn’t adjust to the changing, much harsher, times. As the innocence of the Belle Époque perished in the blood-splattered trenches of Verdun and Ypres, Poiret’s fashions lost their relevance. 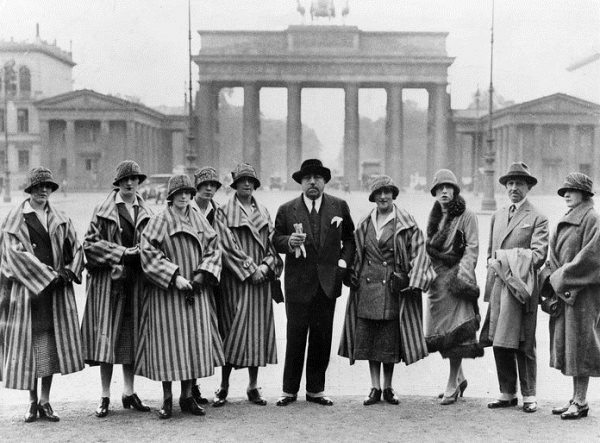 The house of Poiret closed its doors in 1929, and the designer died impoverished in 1944. 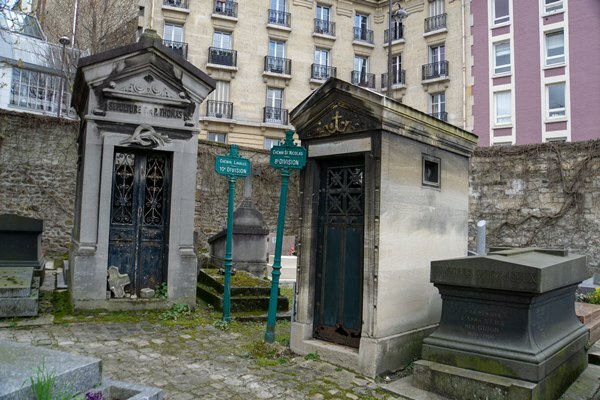 The modest mausoleum at the Montmartre Cemetery didn’t suggest that it was a resting place of a famous couturier, whose influence on the world of fashion of the 20th century was likened to that of Picasso. 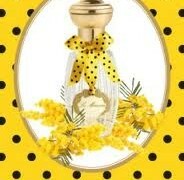 Fame is transient as a whiff of a beautiful scent. Yet, as proof that nothing disappears without a trace, the Poiret story has a new twist. The house was relaunched in January of this year under the artistic creation of a Chinese-born designer Yiqing Yin. On the catwalk in March 2018, she showed kimono coats and billowing capes, taking a page from the Belle Époque shapes. Yin’s choice of sumptuous fabrics in jewel tones likewise referenced Poiret, but her execution was modern and her tribute subtle enough for her own personality as a designer to stand out. It remains to be seen how the house will evolve and whether it can regain its fame. For my part, I’d love to see a return of Nuit de Chine. 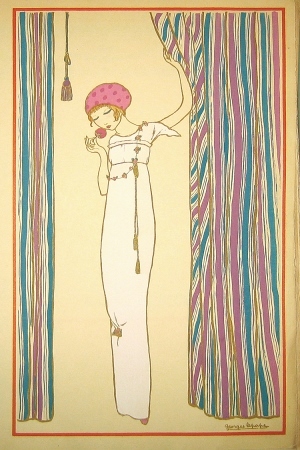 Images via wiki-images, Paul Poiret and his fashions. The photograph of Paul Poiret’s mausoleum is by Bois de Jasmin. *Les Parfums de Rosine exists today, but it shares only the name in common with Poiret’s creation. maja: Such a wonderful article. I had never heard of him until now. So thank you! Victoria: He seems like such a character, and reading his bio, I was sometimes bemused, but mostly touched. He really loved his metier and he derived inspiration from so many sources. It’s a quick, pleasant read, so definitely worth checking it out. his fortune was crushed. Not his dignity. He didn’t smile to the invaders. How I hope that he survived to see the liberation of his city that August of 1944, the year of his death. No, he will not be forgotten because ” while Poiret may have been fashion’s last great Orientalist, he was also its first great modernist.” (Harold Koda,The Costume Institute, The MetroPolitan Museum of Art). Qwendy: So nice to see your piece on one of the designers in my Pantheon …. never enough said about or shown of his work, still not enough people know him as the Genius he was. Chanel (they were bitter rivals) had an uncanny knack for sensing what was coming and was feisty and shrewd, but Poiret was a Visionary in so many ways. The gorgeous book that accompanied the show at the Met is easily had in the US for twenty bucks and there are a bunch of very interesting things to read, of course the autobiography in English King of Fashion. I was unaware that his name had been bought, too bad they have not decided to actually redo his several still perfectly modern pieces and/or also use some of his most inventive details and concepts. I found the clothes unworthy of the name, too bad.